One of the most exciting developments in signal transduction research has been the proliferation of studies in which a biological discovery was initiated by computational modeling. In this study, we review the major efforts that enable such studies. First, we describe the experimental technologies that are generally used to identify the molecular components and interactions in, and dynamic behavior exhibited by, a network of interest. 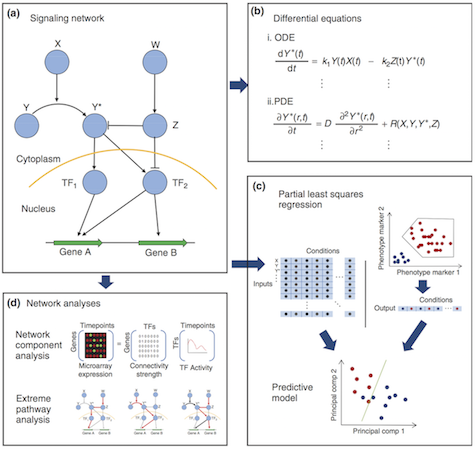 Next, we review the mathematical approaches that are used to model signaling network behavior. Finally, we focus on three specific instances of ‘model-driven discovery’: cases in which computational modeling of a signaling network has led to new insights that have been verified experimentally.